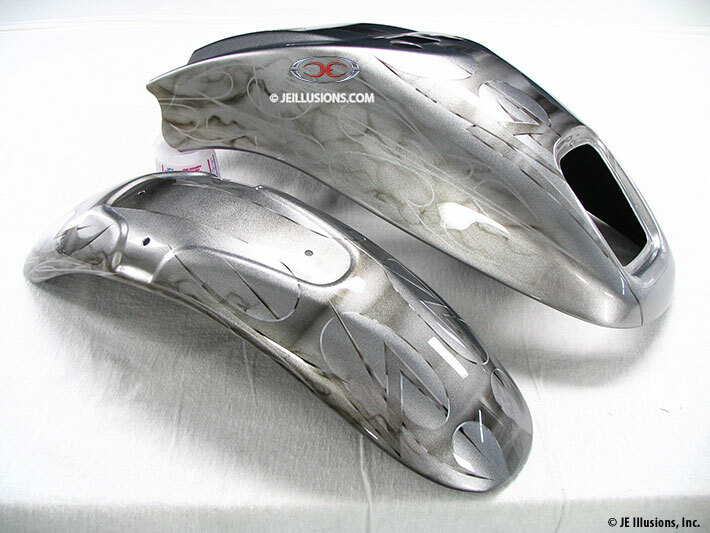 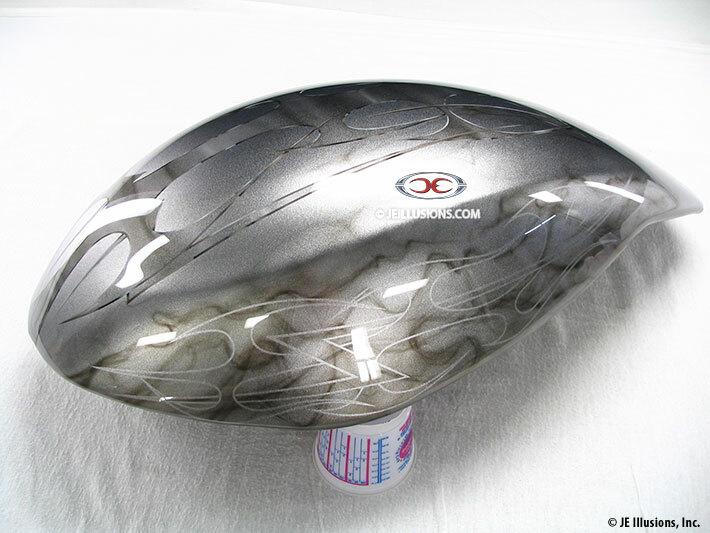 This custom paint set features a wicked metallic blade design. 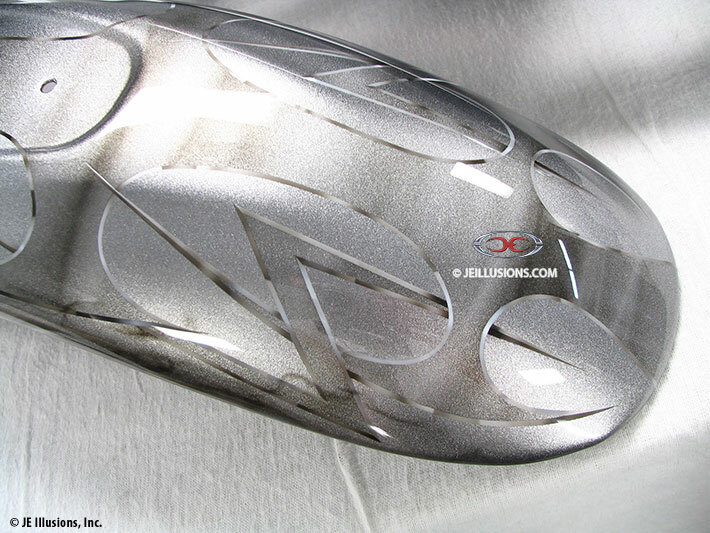 The silver is highly reflective with an extreme flophue. 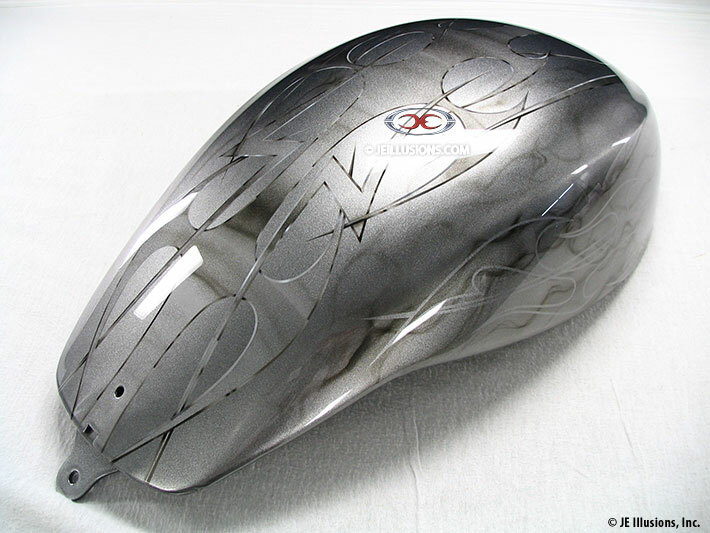 The cutting edge tribal metallic blade graphics are chiseled at the edges and shaded.